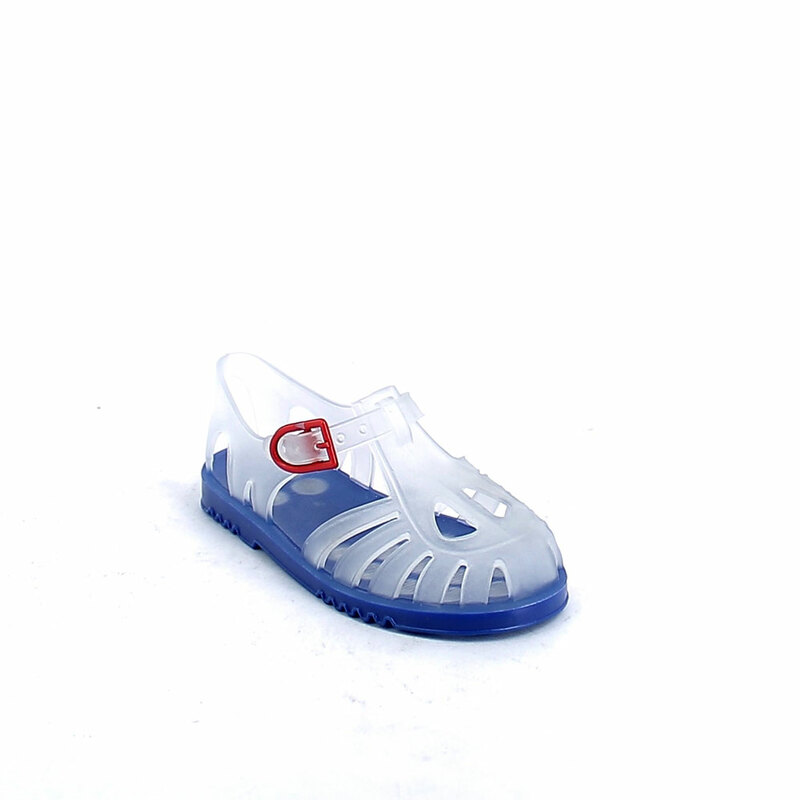 Solid colour pvc sandal with sand-blasted effect and two-hole upper. Made in Italy. 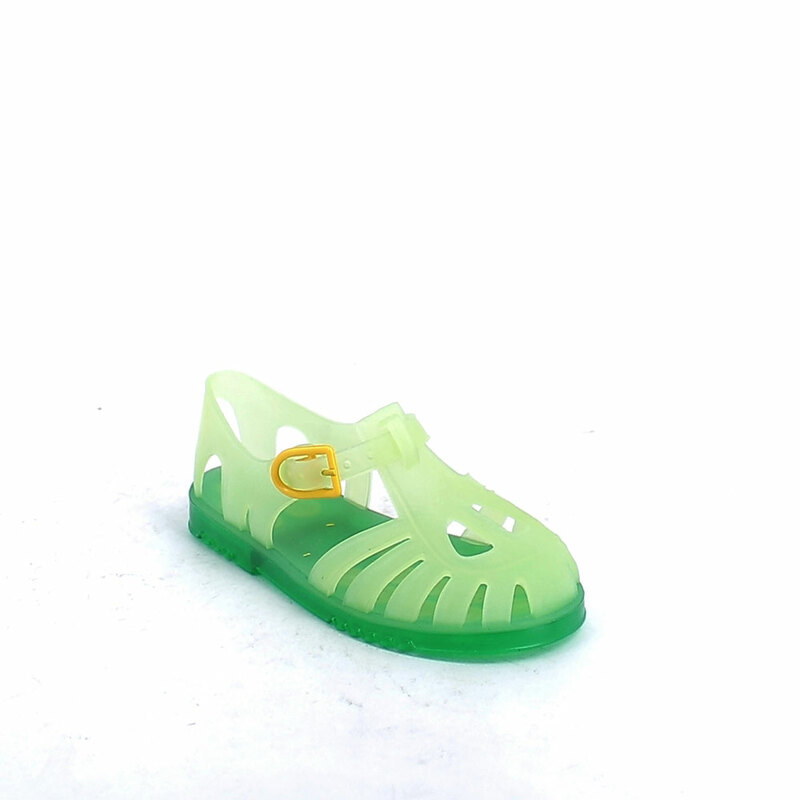 Size run: 18-35.